Within a few meters: good hotels, restaurant, and an amazing huge modern indoor atificial grass field, with plenty of ceiling height. 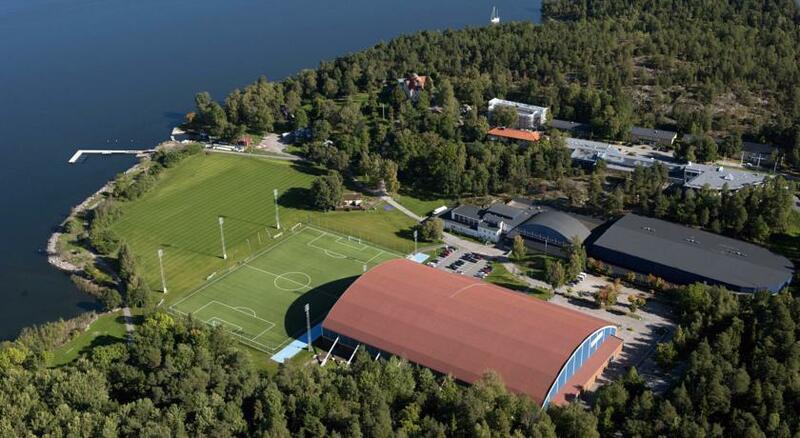 The venue BOSÖN is the national sports centre and is beautifully located in the artipelago just 15 min from Stockholm City. It even has a decent 9-hole discgolf course on the area if you find some spare time. Double and triple rooms in good condition. Gym and sauna available. Playroom for children. Very close to ferries to Turku, Riga and St Petersburg (Värtahamnen/Frihamnen). All rooms have their own showers and bathrooms. Free WiFi available. 10 min by car from Bosön sports complex. Map here. Scandic Ariadne website. The hotel was opened in 2011. It’s a modern and very nice budget accommodation. The rooms are flexible 4-bedrooms and have shared bathrooms on every floor. There is plenty of WCs and showers. 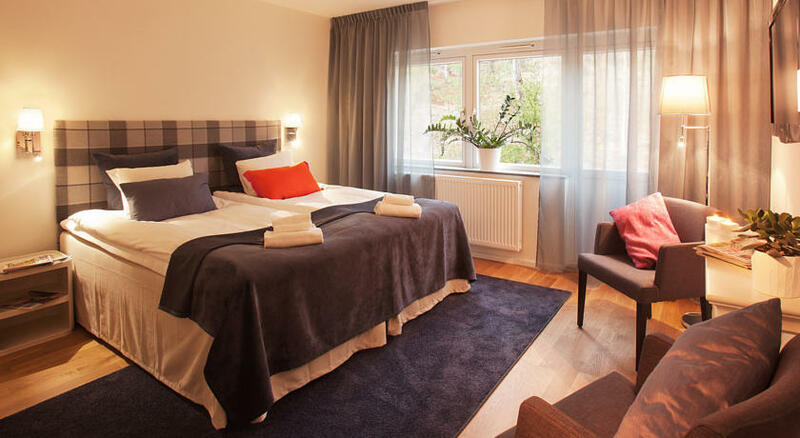 Several rooms have a view over Askrikefjärden. Free WiFi available. At the Bosön sports complex. Map here. 74 excellent rooms in tasteful and comfortable style. All rooms renovated in 2013. In total 172 beds distributed over single, double and triple rooms. All rooms have their own showers and bathrooms. Free WiFi available. 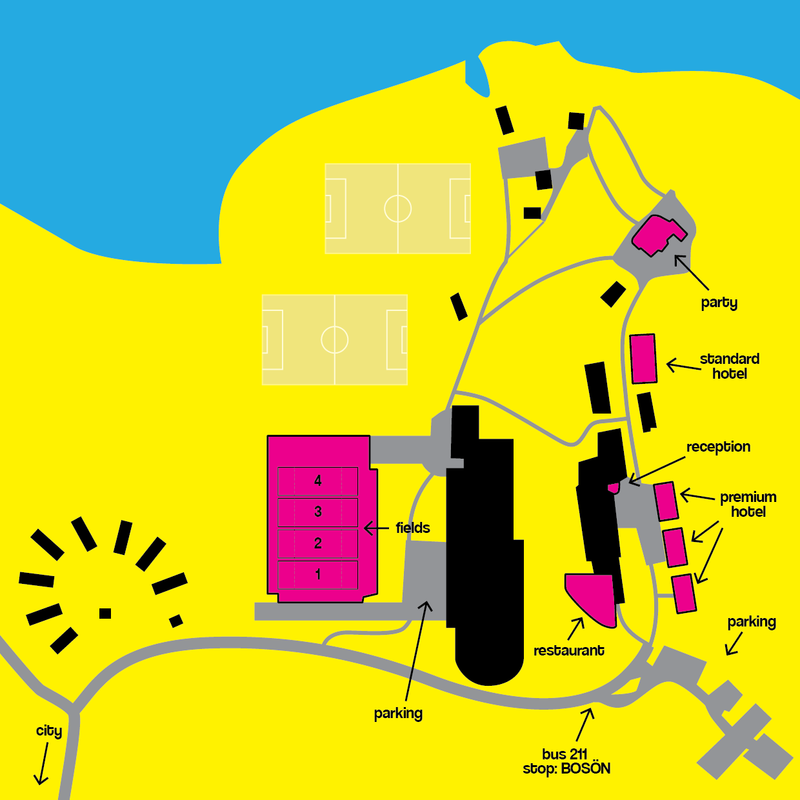 At the Bosön sports complex. Map here. The Olympia Restaurant is located right next to your hotel and the fields. 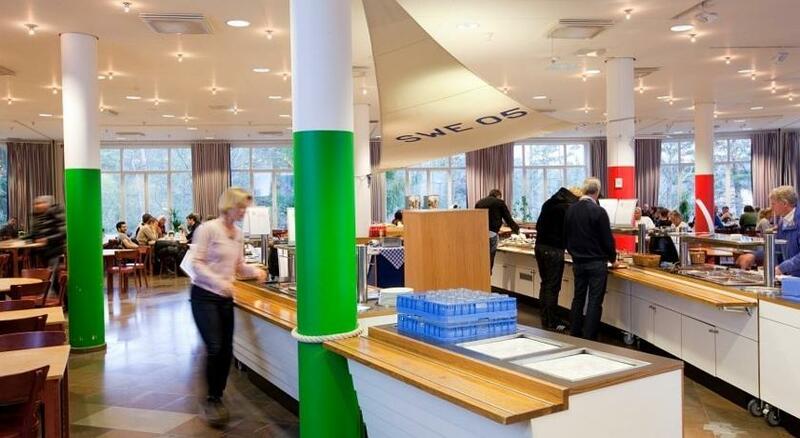 The kitchen serves healthy food for athleets prepared by nutrition specialists. Breakfast, lunch and dinner will be served here. All meals are all you can eat buffets and included in your player pack (no breakfast in player pack A). There are always two courses to choose from, a generous sallad buffet, bread, and drinks. At dinner a dessert is served. After the meal coffee or tea is included. The restaurant is open for breakfast: 7.00-9.00. For lunch and dinner, check your team’s eating schedule! A nice place to chill out between games. You can buy drinks, energybars, snacks, sandwiches, newspapers, coffee etc. Opening hours are 8.00-22.00 Friday & Saturday, and 8.00-16.00 Sunday. After the buffet dinner, Saturday night = party night. 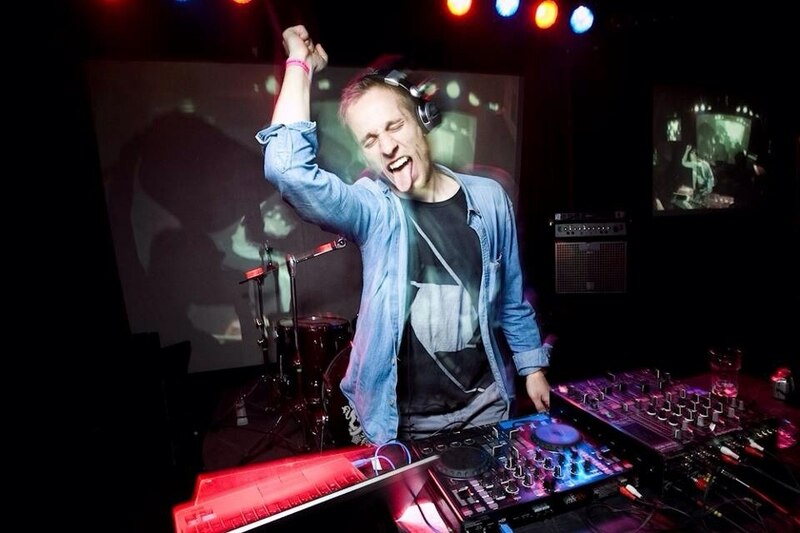 DJ will rock the dancefloor until the morning. The party 2018 will take place at Mästarvillan on the Bosön area 21.00-02.00 on Saturday. 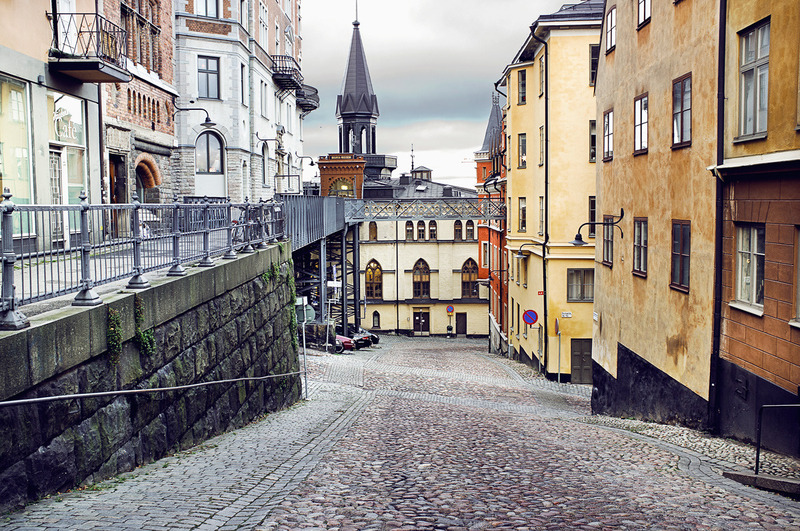 Take the opportunity to check out Stockholm. It’s a beautiful city and has a bunch of cool things to see and do! Below are two good links. If you have some questions – dont hesitate to contact us. Take the red metro line towards ‘Ropsten’ and get of at the final stop. Take bus 211 to ‘Bosön’. You can plan your trip here. Also taxis are available at Ropsten. Take the Flygbussarna bus (99kr, 45min) or the Arlanda Express train (260kr, 20min) to Stockholm City. Then follow the instructions above. Take the Flygbussarna bus (139kr, 80min) to Stockholm City. Then follow the instructions above.